That's why if we're eating fresher, less-processed food at home, our best friends should be getting the very best, too. 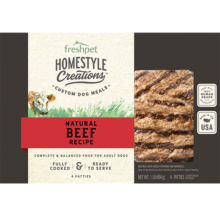 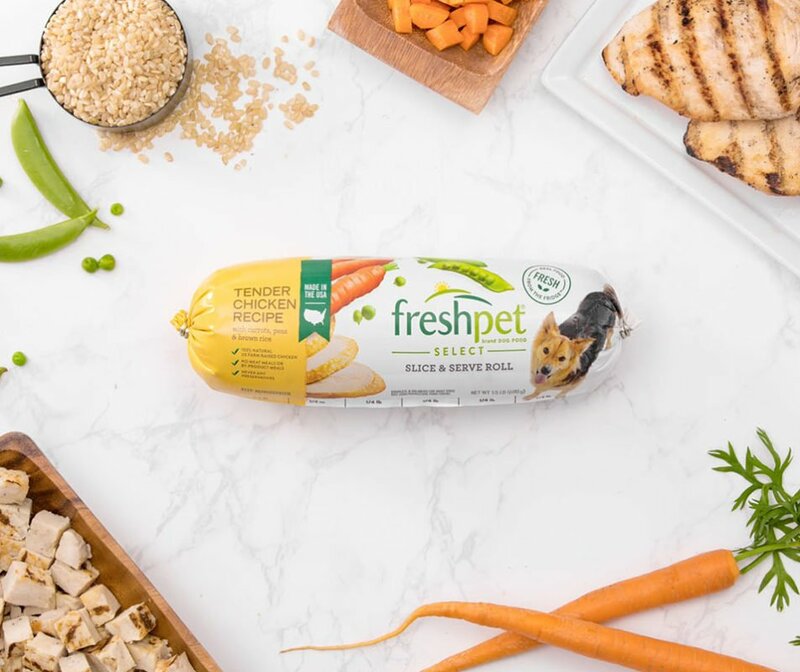 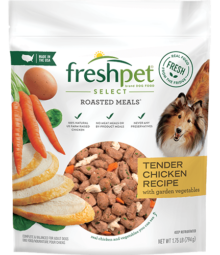 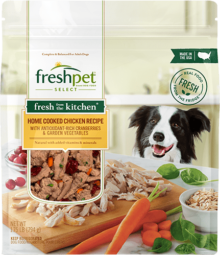 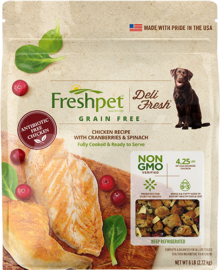 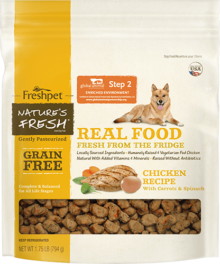 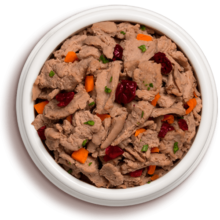 We created Freshpet to give our dogs real and all natural dog food, fresh from the fridge. 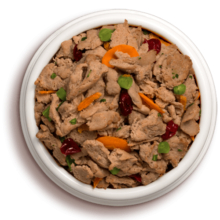 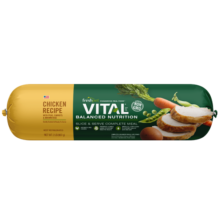 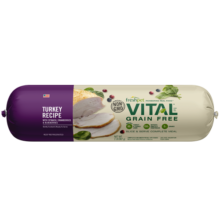 Our steam-cooked recipes use 100% farm-raised meat and veggies, sourced right here in the USA. 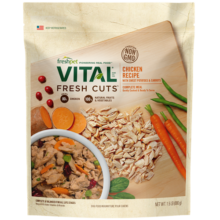 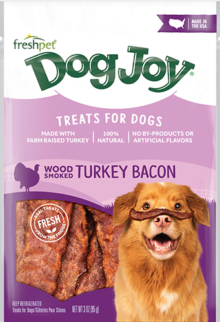 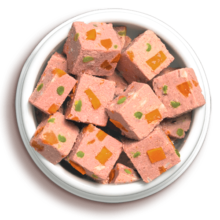 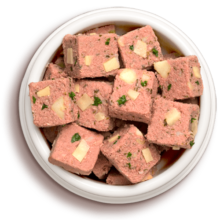 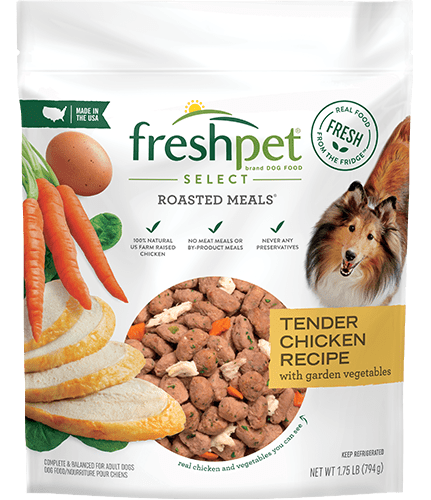 What makes our dog food different? 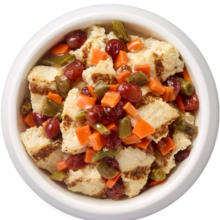 We make food closer to its natural state because it’s easily digestible, more nutritious, and simply more delicious. 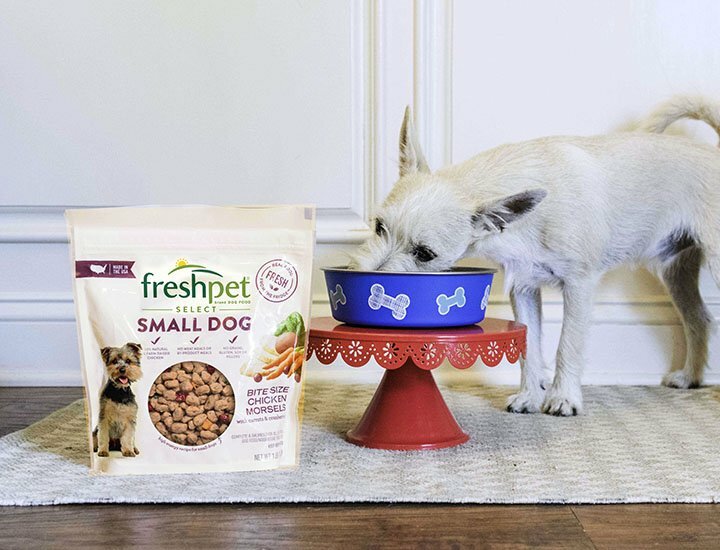 It’s what makes our dog food different from the rest. 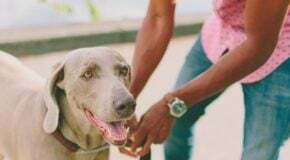 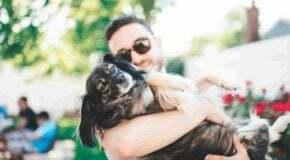 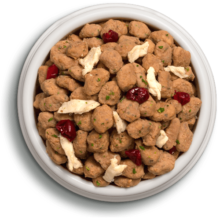 Our balanced dog food recipes are crafted to meet the needs for a dog at any stage in their life, whether you have an energetic puppy or loving senior. 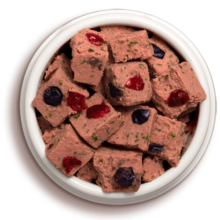 Puppies need all the nutrients they can get! 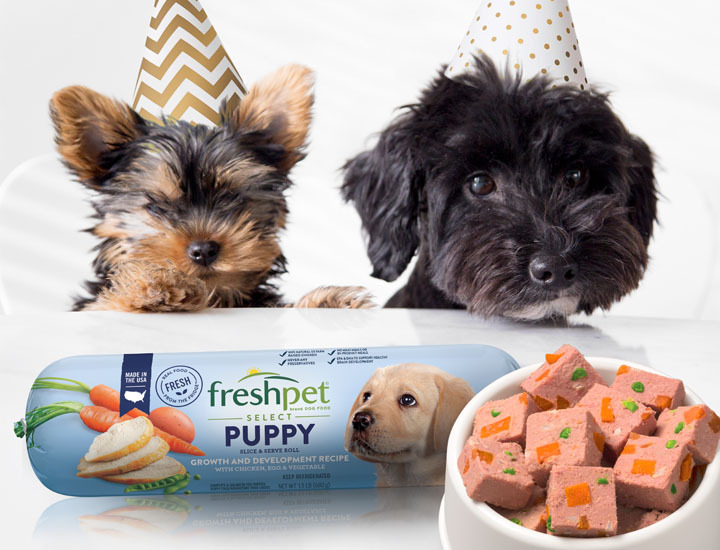 Our puppy-specific dishes have added omega-3 fatty acids EPA & DHA for their growing little bodies. 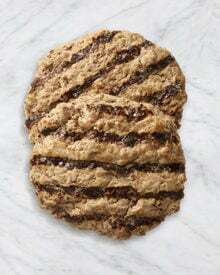 Increased energy. 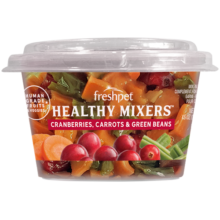 Healthier weight. 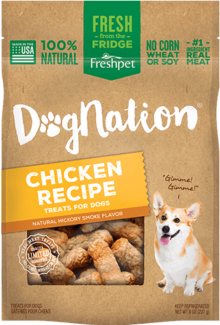 Improved digestion. 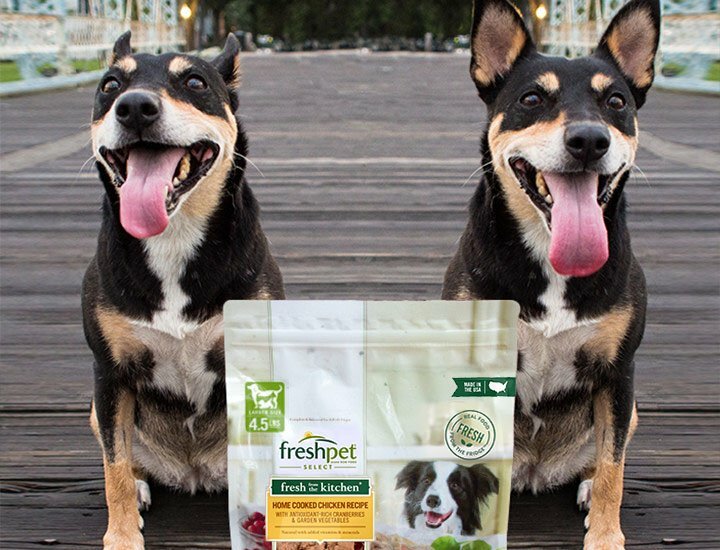 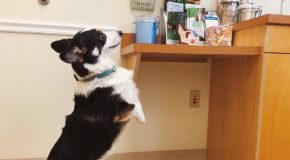 You'll notice all the benefits of a fresh diet with your dog. 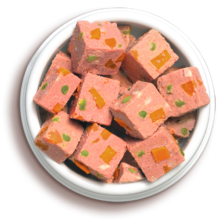 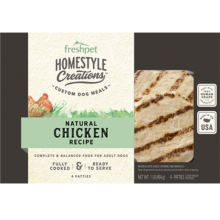 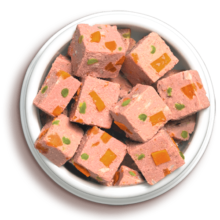 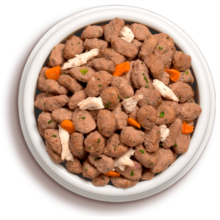 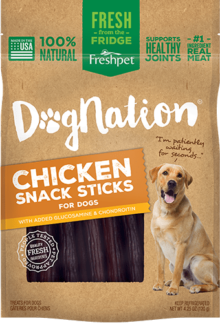 Wholesome recipes that are specially made with smaller bite-sized morsels of US farm-raised chicken for little pups. 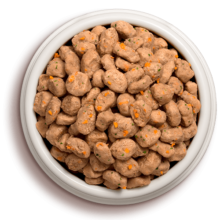 Each batch is formulated with targeted levels of protein and fat to support small dog high energy requirements.